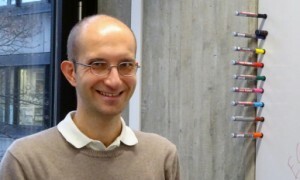 The online magazine derarbeitsmarkt.ch published an interview with Prof. Vartan Kurtcuoglu in which he answers five questions all around his work as a professor at the University of Zurich. The magazine, established in 2009, publishes on topics related to the working world. 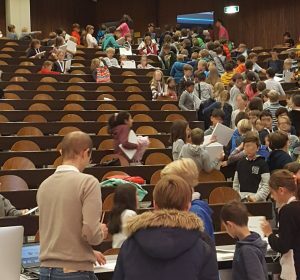 The daily newspaper of the city of Zurich published an article on Prof. Kurtcuoglu’s lecture in physiology at the Children’s University of Zurich where schoolchildren learned about “Why we sweat”. The Children’s University is designed to provide answers to the challenging questions kids have about different phenomena in the world. 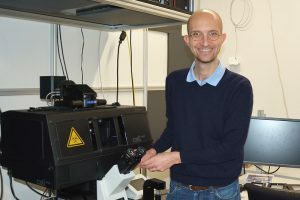 ETH News published an article on Cross-Disciplinary Research and Development in Medicine and Engineering, a joint course between the University of Zurich and ETH Zurich initiated by Vartan Kurtcuoglu. This course brings together medical and engineering students to experience the rewards and challenges of interdisciplinary work in a project based learning environment. Various media outlets (20min, gizmag, ETH Life and others) reported on the concept of a novel wound plaster that accelerates wound healing and is easily removed from the wound at any time. 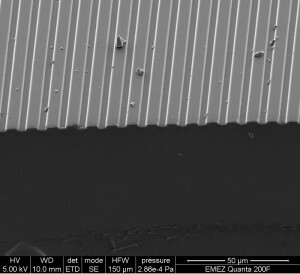 The reports are based on our work published in the journal Soft Matter. 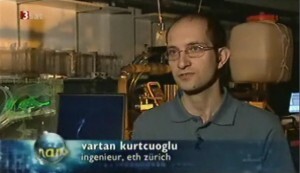 The SmartShunt project was featured on the popular science television show Nano on 3sat. Vartan Kurtcuoglu explained the challenges in cerebrospinal fluid (CSF) dynamics research and the ultimate goal of developing an intelligent CSF shunt system. The segment was also feature on the popular health show Puls on national TV.